Here is the BEAD SOUP that I received! 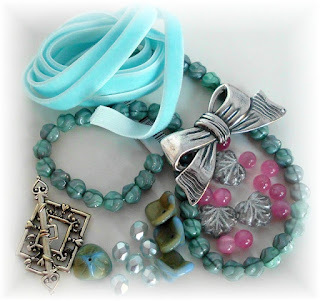 Look at the BEAUTIFUL goodies I received from my Bead Soup partners, Stefanie and Kathy of PartnersInCharms. They are working as a team in this Bead Soup Blog Parthy. I have SO many ideas on how I would like to create with these wonderful components. They made the toggle and the silver leaf, both are PURE PMC Silver. The Bead Caps are also silver! Then I have those large, lovely fresh water pearls, SWA crystals, and raspberry quartz beads. The focal piece is a beautiful obsidian semi precious stone. What a wonderful Bead Soup ladies! Now, off to create with these lovelies! Here is a picture of what I sent to Stefanie and Kathy. I hope they enjoy their "soup". BEAD SOUP is on it's Way! Here it is! The Bead Soup that I have sent to my partner for the Bead Soup Blog Party. Well....not really. The goodies are in "disguise" until my Bead Soup partner receives them. My partner is Kathleen Gallant. She and her mom are a team of jewelry designers. They call themselves "Partners in Charms". Like myself, this is their first Bead Soup Party. I can't wait to see what they send to me! They have been cooking their "soup" and it is on the way. Anticipation! I will post pics of my "soup" when I get it! Next step? I need to create one or more pieces of jewelry using the "Bead Soup" my partner sends to me. 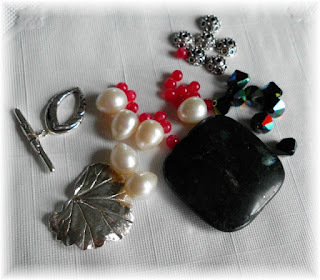 Want to know more about the 2013 Bead Soup Blog Party? 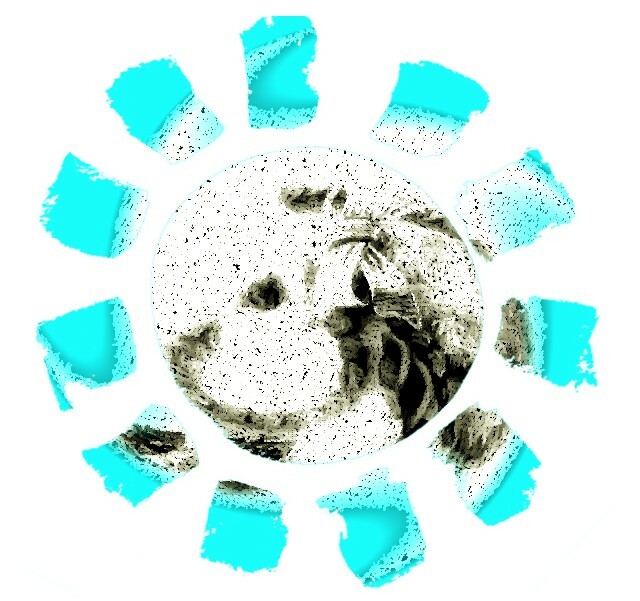 Check out Lori Anderson's site. She is the host of this international event, an artist, and an author. And a wonderful gal for doing all of this for all of us! I am so excited! 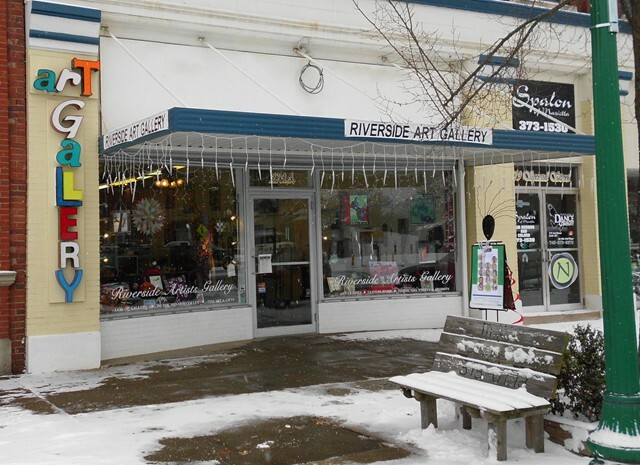 The Riverside Art Gallery in Marietta has accepted me as a new member. My jewelry will be in the glass showcase beginning in March! I can hardly believe that this is happening. Last month, one of the Gallery members saw me wearing my jewelry. (like Brenda Sue always says...don't go anywhere without wearing your jewelry!) She complimented my necklace, bracelet and ring. Yep, I was decked out. I told her about how I enjoy making jewelry, and have a booth at the local Farmers Market. She told me that the Gallery was looking for a jewelry artist, and would I consider applying. I thought she was kidding. Besides, I told her I was no artist. (ok, so that was the wrong thing to say...). She told me some general information about the Gallery, and asked me to think about it. Well, I thought about it, and thought no way. Besides, I did not feel I would make it through the jury process. And I did not really want to deal with the rejection. The following Saturday, she and another Gallery member went to the Farmers Market to see my jewelry. I did not know they were going there, and I did not see them because I was home sick that day. My daughter in law said "Oh my gosh! They shopped you!" She manages a retail store, so I guess that is pretty cool thing to do. Several days later, Cathy called me. Asked me to consider bringing in some pieces for the Board to Jury. I said I would think about it. Mike and I talked about it, and decided to try it. I was just jumping around with anxiety and excitement....trying to decide what pieces to take for them to review. I was checking all my jump rings to make sure they were perfectly closed....stuff like that....putting everything under a "microscope". Mike and I went, filled out the initial paperwork and left the jewelry. She said they would call me later that week to let me know the results. Thank goodness for Mike and his support! That week, every time the phone rang, I didn't know if I wanted to answer it or not. Then the call came. I had been accepted. I will be the only person there with jewelry. They have multiple, but not duplicate, hand made local art. The Riverside Artists Gallery in Marietta, Ohio is on Facebook and they have a website http://www.riversideartistsgallery.com. I still can hardly believe this is happening! 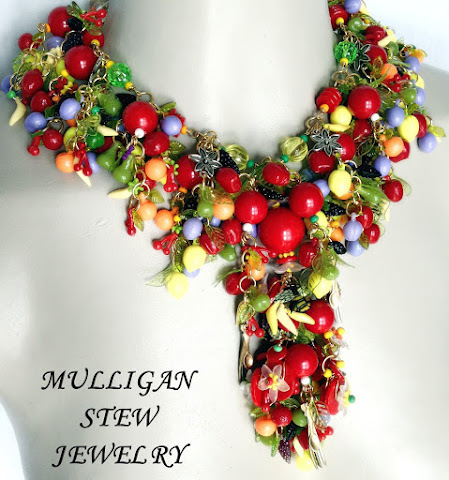 Mulligan Stew Jewelry is for those with a taste for Unique Designs. My Jewelry creations can accessorize your life and showcase your individuality. I choose to not duplicate my designs in order to provide you with a one of a kind piece of Fashion Jewelry.